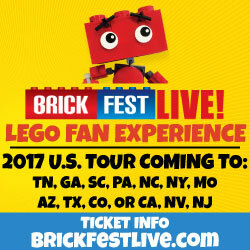 ReBrick is having a new contest in collaboration with NASA and The LEGO Group called NASA’s Missions: Imagine and Build. Winners of the contest will be able win some pretty nice prizes including recognition by NASA. The contest began yesterday and entries have to be submitted by July 31st, 2013 2:59pm CEST (8:59am EST). Judging will start on August 5th and the winners will be announced the week of September 1st. The competitions is split into two categories but you can enter into both if you like. Builders 16 years old and older are invited to journey into space and beyond by creating one of NASA’s future missions with LEGO bricks. Builders can be imaginative as they wish, although their entry should reflect one of the missions NASA has listed on their website. These missions are planned until the 2030s so there should be no shortage of inspiration! 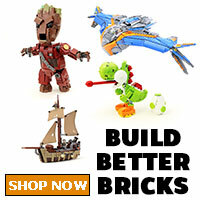 All entries must be bookmarked to ReBrick in the “Building Challenge” category. The winners will be chosen by a committee of judges, please see official rules for details. 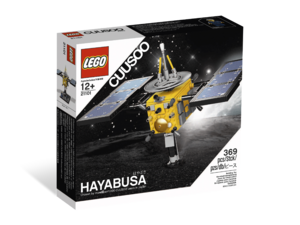 The grand prize includes 21101 LEGO CUUSOO Hayabusa set, signed by the LEGO designer Melody Louise Caddick, recognition and honorable mention on NASA.gov, and a collection of NASA memorabilia including a personalized signed lithograph of the astronaut from the judges committee. There will also be two runner-ups, see official rules for those prizes. 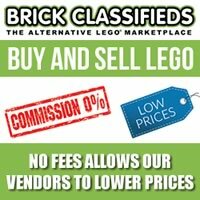 LEGO prizes have a maximum total estimated price value of $200 USD in retail. This category is open to entrants 13 years old and older and has a stronger academic focus. Participants are asked to develop a LEGO prototype of their own aircraft of tomorrow, supported by a technical research paper. This prototype can be made out of LEGO bricks or digitally using LEGO Digital Designer. 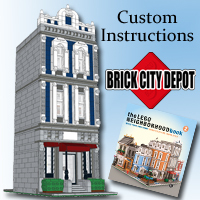 Only the prototype will be submitted to ReBrick in the “Building Challenge” category, the paper must be submitted via email, see the official rules for full details. Both prototype and paper are required to compete. Since this competition invites participants from a wide age range, we will offer a young builders category winner (participants ages 13- 18) and an overall category winner (all participants). 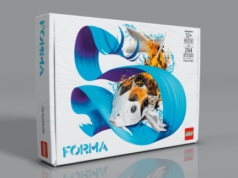 The prizes includes a custom made LEGO trophy, a collection of commemorative NASA memorabilia, and the opportunity for a virtual presentation of project to NASA and/or LEGO specialists (subject to availability of winners and NASA/LEGO specialists). In addition, pending approval of content and any needed permissions, NASA has the option of publishing the winning technical paper. Details will be discussed with the winner and any legal guardian. Please refer to the official rules for both categories (linked above) before entering. Happy building! In addition, pending approval of content and any needed permissions, NASA has the option of publishing the winning technical paper. Details will be discussed with the winner and any legal guardian.